Myles J. Connor is a legendary art thief who used major American museums as his personal collecting playground. Connor, who co-authored “The Art of the Heist: Confessions of a Master Art Thief, Rock-and-roller, and Prodigal Son” with Jenny Siler, was arrested on Thursday in Rhode Island for robbing two women of a mobile phone. Connor, who boasts a genius level IQ, was responsible for some of the biggest art heists in American history including stealing works from the Metropolitan Museum of Art, the Smithsonian Institution, and the Boston Museum of Fine Art. Having used a variety of techniques and elaborate schemes, the convicted felon was recently arrested for a seemingly trivial count of theft. "The Art of the Heist” is a memoir that chronicles the many exploits of Connor. Marketed as “a roller-coaster ride of a life, by a man who was drawn to misadventure at every turn,” readers have expressed mixed opinions on the book. Connor has engaged in dramatic police shootouts and used his sharp wit to escape arrest. He remains a significant suspect in the FBI’s ongoing investigation into the robbery of the Isabella Stewart Gardner Museum of 1990. Though he was in jail at the time of the robbery, which remains the most significant robbery of an American museum, many suspect that Connor was the mastermind behind the heist. It seems strange that a man who was successfully able to carry a Rembrandt out of the Boston MFA in broad daylight would be caught for such a petty crime. It has since been determined that the robbery was not a random, isolated incident but rather was related to a dispute over narcotics. 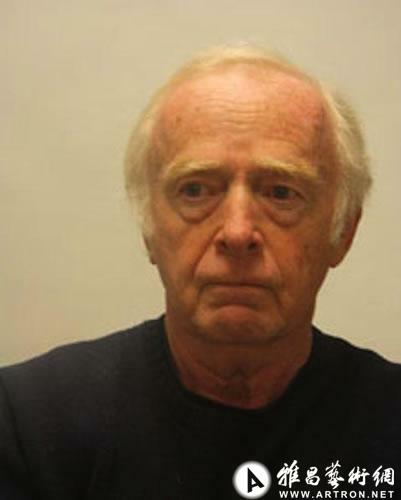 The 69-year-old man was arrested just outside the Woonsocket, RI police station when a woman entered the station to post bail for Connor’s girlfriend, Suzanne King, who was previously arrested. Connor’s car was spotted on security footage and the victims were able to identify him in a lineup leading to the arrest. Police have stated that Connor is being held on charges of conspiracy and first-degree robbery. In 2011 he was accused of stealing a pair of cheap sunglasses from a chain store, it seems the mighty have fallen onto hard times for the ageing Mayflower descendant!